Apple and BT are reportedly in talks about a partnership that would aim to boost both companies’ presence in the pay-TV market. According to the Daily Telegraph, the deal would make BT’s mobile brand EE a major distributor of Apple TV set-top boxes. The paper says BT would offer STBs to EE broadband customers pre-loaded with apps to ­deliver BT Sport and channels from other broadcasters. Apple has a similar agreement with Swiss telecoms provider Salt. 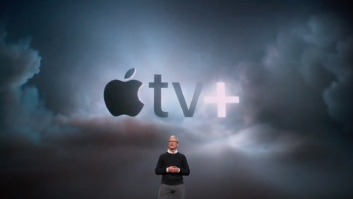 The tech giant is aiming to get Apple TV boxes in more homes as it moves towards launching its own streaming platform in 2019. Both companies have declined to comment on the report.